Metro Ortem Ltd, founded in the year 1985, is one of the market leading ceiling fan companies in India. 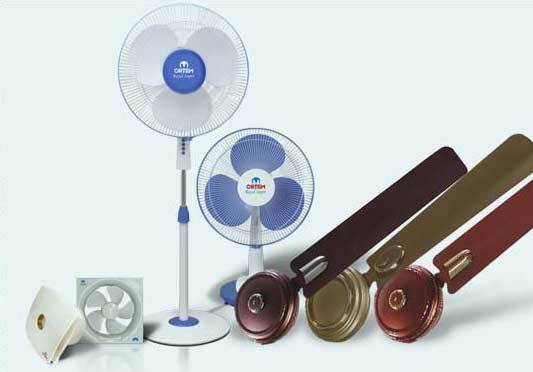 The company believes in manufacturing original, reliable and durable fans with the highest standards. In the past 30 years, the company has developed an unmatched reputation for itself by producing India�s best ceiling fans for home, offices and commercial purposes. Setting newer benchmarks in the industry through excellence in quality, Ortem Fans produces best ceiling fans for house that juxtapose higher energy efficiency, flaunt attractive design and offer superlative performance to augment your comfort. The complete range of products offered by the company includes ceiling fans, table fans, outdoors fans, pedestal fans, wall and exhaust fans. There are more than 200 models that incorporate the best of aesthetics as well as technology. These best ceiling fans for large rooms, homes and offices are available across the country through leading departmental stores, independent lighting retailers and electrical wholesalers. Be it the best ceiling fans for house or office, each and every model produced by Ortem fans will live up to your expectation on each and every parameter. Ortem Fans commitment to always abide by the highest standards of quality in all aspects of its business makes it the best ceiling fan company in the country. Its products right from the design prototype to manufacturing of power-packed motors and unmatched after sales support results in impeccable quality fans at highly incredible price points.